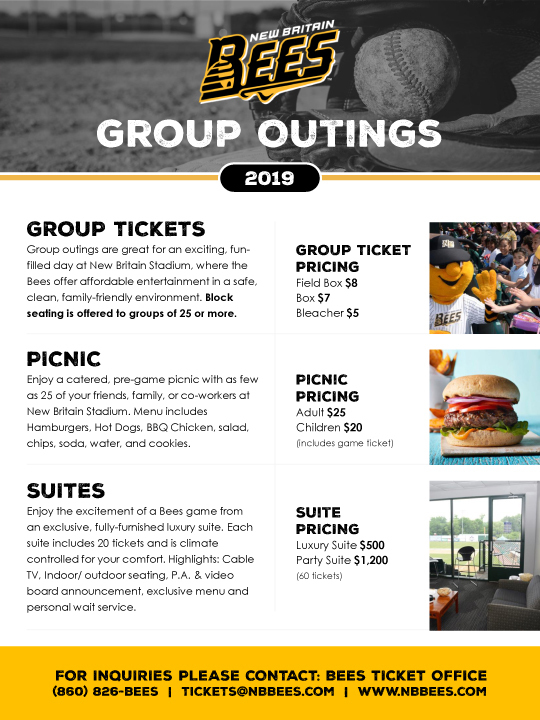 Are you planning on having your group come out to a Bees game? 2019 group ticket packages are on sale now! *Group rates start at a minimum of 25 people. For questions about group tickets, please call (860) 826-2337 or email info@nbbees.com.